We’re exactly three weeks away from when NVIDIA’s highly anticipated Turing RTX 20 series graphics cards are set to hit shelves worldwide and gamers have been very eager to find out how the green team’s latest and greatest gaming graphics cards will perform in games compared to existing GeForce 10 series Pascal graphics cards. Specifically in games where RTX ray tracing and/or NVIDIA’s brand new AI assisted anti-aliasing tech, DLSS, is not involved. Especially since traditional gaming performance is an area that NVIDIA hadn’t touched on during Turing’s announcement event at Gamescom or since, that is until yesterday. The company’s venerable tech PR man Tom Petersen went on HotHardware’s Geeks webcast and talked about what everyone has been waiting for NVIDIA to talk about : Turing’s traditional gaming performance versus Pascal. HotHardware asked Tom about what gamers should expect from an RTX 2080 compared to a 1080, but Tom did us on better and talked about how the Turing lineup in general will perform compared to Pascal. Stating that gamers should expect roughly between 35-45% better performance going from Pascal to the same tier Turing graphics card. Earlier this week we broke a story stating that NVIDIA’s Turing delivers ~50% better performance versus Pascal. That’s what several sources have told us over the past week. Tom’s ~40% isn’t far off the mark, depending on the games being tested and the cards being compared. With that being said, we’re told to expect that the RTX 2080 Ti will show a bigger performance advantage versus the GTX 1080 Ti in comparison to what the RTX 2080 can deliver versus the GTX 1080. Which makes sense, considering that the CUDA core count delta between the 1080 Ti and the 2080 Ti is considerably larger than that between the 1080 and 2080. Generally speaking, a ~%40 performance boost from Pascal to Turing is a solid jump up, especially at the top-end of the spectrum which is more prone to stagnation due to its higher susceptibility to bottle-necking in addition to the lack of competition from the Radeon side in this area of the market. With that being said, it appears that a solid jump up in performance maybe soured by a disproportionately larger jump up in pricing across NVIDIA’s Turing lineup, which are priced at very nearly double what their current Pascal predecessors cost. The GeForce RTX 2080 Ti will set you back almost double what a GTX 1080 Ti goes for right now. The situation with the RTX 2080 and the RTX 2070 isn’t much better either, both of which are priced at almost twice what the GTX 1080 and the GTX 1070 are going for right now. If indeed Turing delivers a 35-45% performance improvement over Pascal, this will be the first graphics generation in memory to deliver inferior performance per dollar compared to its predecessor. This is primarily the result of how NVIDIA chose to price the RTX 20 series, which can arguably be seen as excessive from this point of view. Why? Because ray tracing. A feature that the company has announced will make its way to 11 games down the line, but there’s a caveat. Not even the RTX 2080 Ti is fast enough to run it at resolutions higher than 1080p with a 60 FPS average. If you play at 4K or 1440p — and many high-end GeForce owners certainly do — this is obviously a problem. 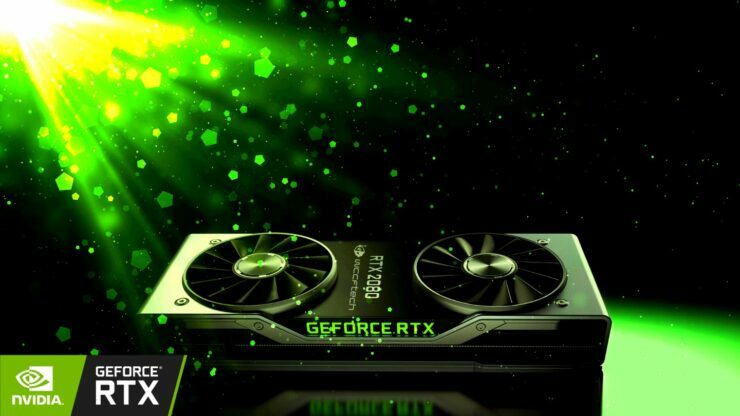 It’s clear then that despite the considerable performance sacrifices and the cost premium associated with Turing, NVIDIA is still banking on ray tracing to sell it. Is it worth it? This is the Turing dilemma.